If there's one thing we know lots about, it's about being on a budget. We've spent the last five years renovating on a budget and the last five years without any central heating because of it. The cost of fitting a whole new gas central heating system just doesn't fit into our budgets. We've become pro's at living in a colder-than-normal home, finding ways to keep the heat in and create heat without a boiler. It's less than ideal and whilst we can't afford gas central heating, we can afford other options out there. I've mentioned in a previous post how we'll be fitting some electric radiators throughout the house if the running costs aren't too high. (We'll be testing this out later in the year!) But another option we considered was to fit a log burner. The cost of a log burner and installation still isn't a cheap one and it's why we haven't even considered one until now, but it is still considerably cheaper than a whole new gas central heating system. Whilst log burners sit in just one room, they project heat much much further across the house than a single radiator would. If it's on for long enough throughout the day and doors to other rooms are kept open, they'll heat adjacent rooms and even the rooms above. So despite not being that cheap to buy and fit, they are more than just a fancy heating feature in a room, which some people might typically think when it comes to log burners. You can also get log burners with boilers attached, which can heat radiators and/or water as well, however these are actually even more pricey than gas central heating (so definitely not for us!) but they are a great option if you live in an area without gas. Obviously they aren't as technologically advanced as gas central heating, where you can pre-schedule your boiler to come on whilst you're out, or set a temperature control. Log burners are completely manual, but they have much greater charm than a boiler, particularly if you live in a period home. Whilst we completely appreciate a log burner isn't on the same scale as a boiler and doesn't provide whole house heat like many radiators, it's an option that we can afford and it will be an additional extra heat solution to help us stay warm throughout winter. We also really like fact that you pay for your fuel consumption (logs) up-front, so there are no nasty bills at the end of winter. But of course, we are still on a very tight budget for this project, so I thought I would share with you the budget options available for log burners if you too are on a tight budget. All these brands mentioned have various sized log burners in different prices, but generally speaking they are affordable brands that we ourselves considered. Priced from just £350, the Firefox range are completely classic and traditionally styles and are perfectly suited for a country/cottage/period style home. They offer twin door openings and many of their stoves are DEFRA approved too. The only negative is that they are a Chinese import and not made in the UK which questions their quality slightly. 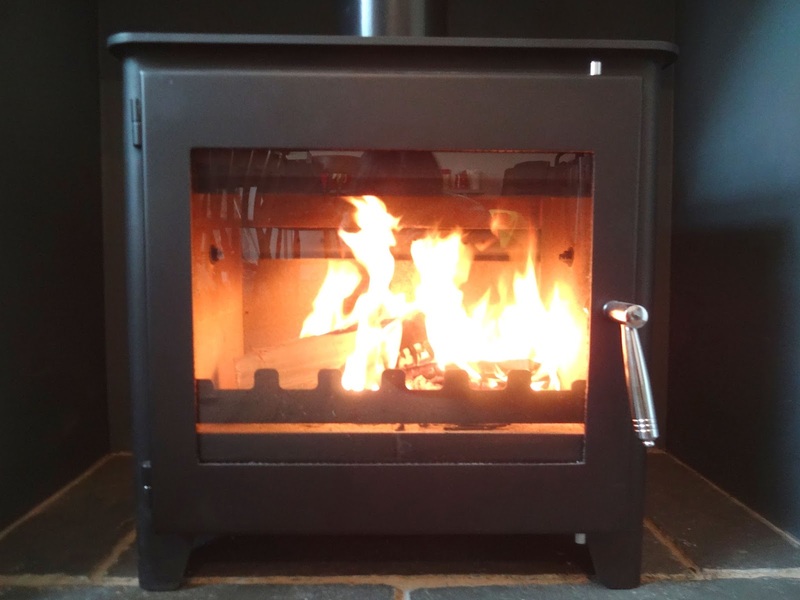 Made in the UK and DEFRA approved, the Saltfire range starts from just £350. Their designs are modern and sleek without the fussy details. They offer a fabulously large viewing window and they even have clean burn technology to keep that window looking pristine! Starting at £440 this brand is the most expensive budget option I have to share, but their designs mix classic and contemporary together for a style than can really fit all homes. They come in a range of colours and are made in the UK too. Starting at just £200(!!) this range is one of the most affordable brands I came across. Many of their stoves offer high efficiency at 80% and impress with their contemporary design, multiple colour options and even optional built-in log stores. Many are suitable for overnight burning so perfect for those who want to get maximum use out of their burner. Much like the firefox, these aren't UK produced - but they are super affordable and their traditional with a touch of modern style has heaps of charm. The range available from tiger isn't particularly vast, but prices start from just £380 and the range of burners they do have to offer, certainly don't disappoint in style. 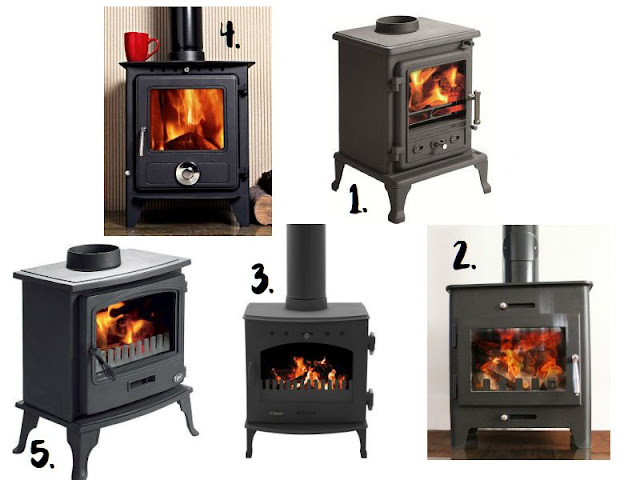 I'd love to know if you have any great affordable brands for log burners to add to my list?